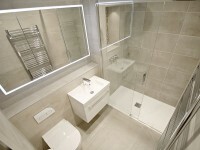 Great work by Leon, Bradley and the guys, very professional from start to finish, couldn’t recommend them enough. 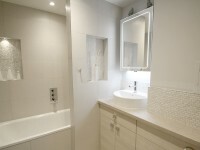 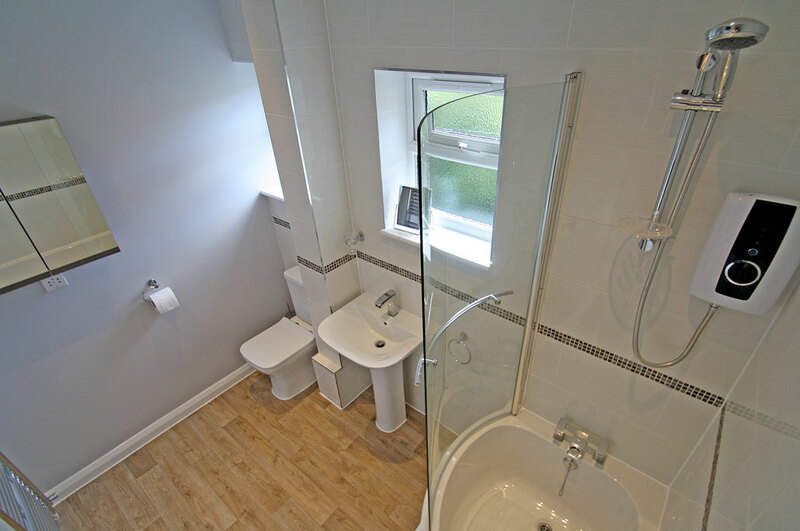 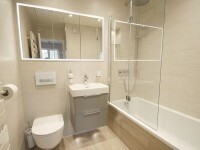 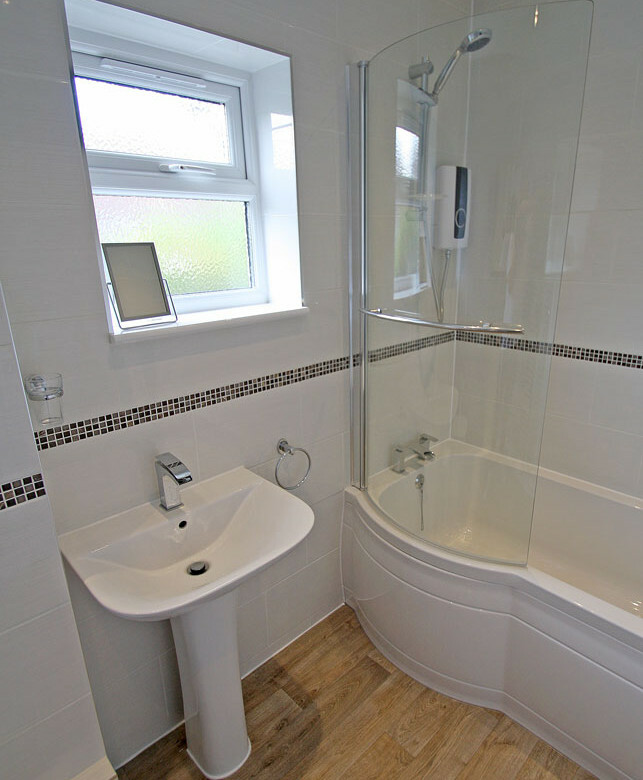 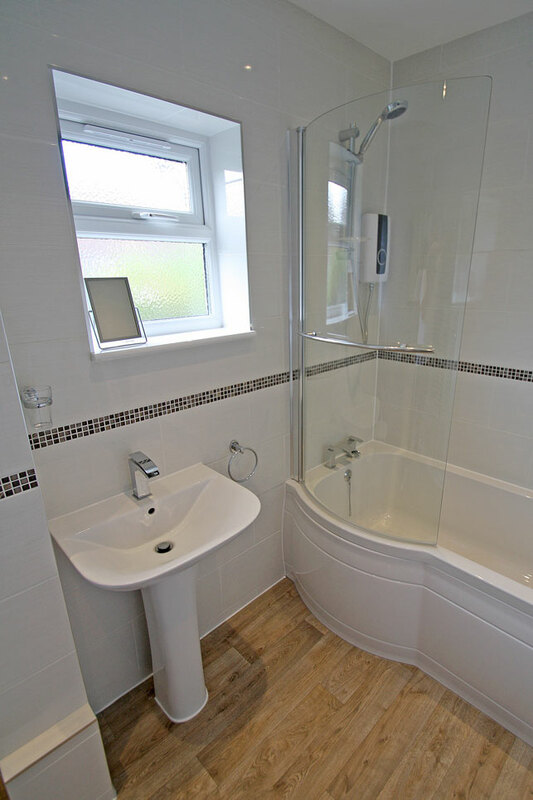 Modern bathroom renovation with wood effect flooring, shower bath & electric power shower. 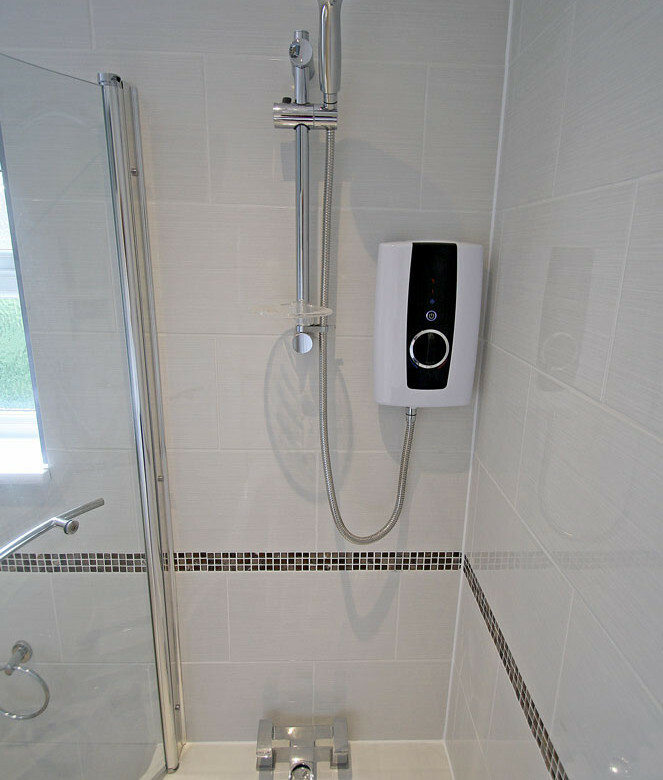 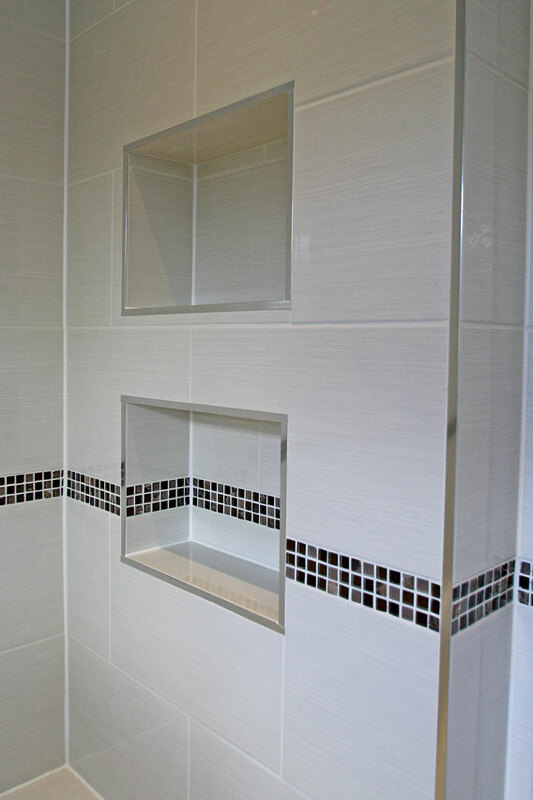 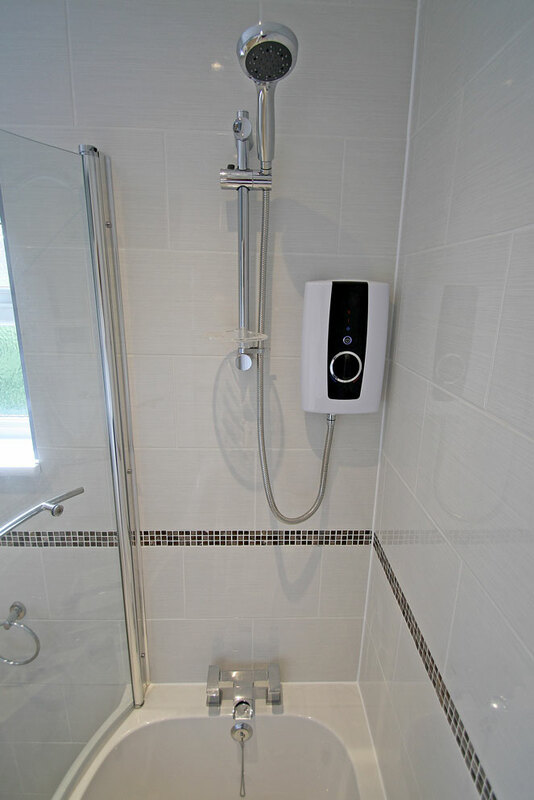 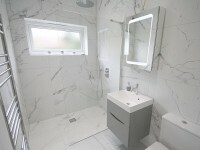 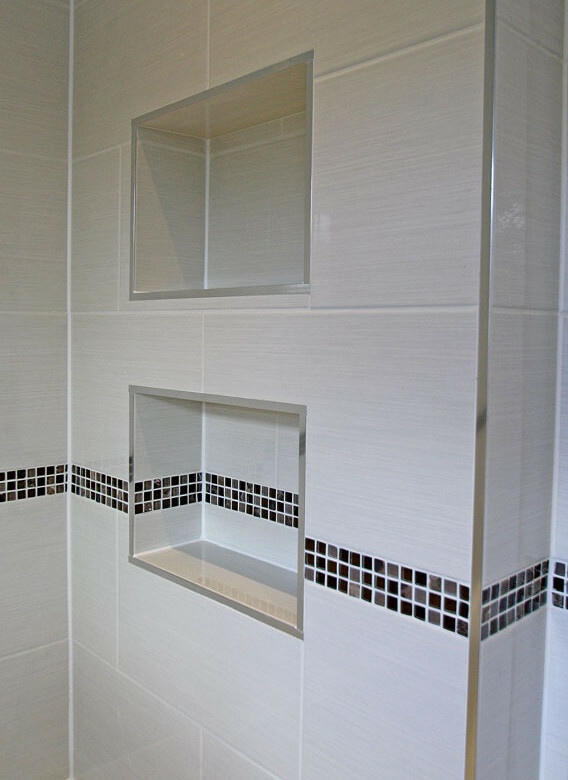 The simple clean wall tiling is accentuated by a glass mosaic strip and tiled recesses in the bath area.